Think back to last weekend. There is a good chance you saw a movie. If not at the theater, then you rented a DVD, or caught one on TV. Movies are one of America's favorite pastimes, appealing to all ages and all tastes. And it doesn't stop at our shores. Films are loved by people all over the world. There is a constant need for good movie scripts (also known as “screenplays”) to feed this demand, and somebody has to write them. As a screenwriter you can develop those daring stunts, decide how the lovers will meet, create alien worlds and come up with the lines that leave 'em rolling in the aisles. You could even adapt a favorite book for the screen. Your work can bring enjoyment to millions, and acclaim to you. If you make it to the top, you could hang out in Hollywood, hobnob with movie stars, attend film festivals, go to premiers and maybe even win awards. All that and you get to work at home, be your own boss and make your own hours! Writing screenplays is one of the highest paying jobs a writer can do. In the 1990s, Joe Esterhaus made headlines when he earned $3 million for writing Basic Instinct. Since then, screenwriters have gone on to earn fees that previous generations could only have dreamed of. It doesn't stop there. A successful screenwriter can write his or her own ticket in show business. Many go on to direct, produce, even act in their screenplays. The story of how Sylvester Stallone wrote the Rocky movies for himself to star in is now legendary. Spike Lee, Woody Allen, Quentin Tarantino, Oliver Stone and Cameron Crowe are other examples of writers who maintain creative control over their own work. Screenwriting can also be a great way to collaborate with others in a dynamic and creative atmosphere. For example, Karen Lutz and Kirsten Smith wrote the hit Legally Blonde together because both had a fondness for teen movies, while Ben Affleck and Matt Damon won an Oscar for their collaboration on the screenplay for Good Will Hunting. 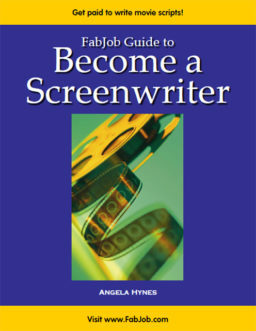 If you would like to break into this exciting career, the FabJob Guide to Become a Screenwriter is for you! 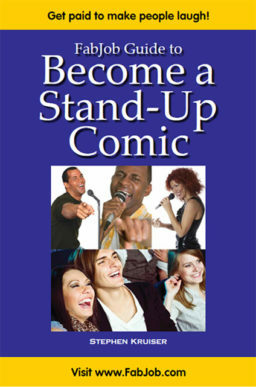 In this e-book you will discover how you can get started and succeed as a screenwriter. The guide's author is Angela Hynes, a former script consultant for a movie studio who is now a full-time writer. Two movie scripts written by Angela and her partner are in development at major studios, including a screenplay they wrote which was bought by 20th Century Fox for $360,000. You can have all this and more for an incredible price. People pay hundreds of dollars to attend conferences about the movie industry. The FabJob Guide to Become a Screenwriter contains some of the best career advice you could get from other sources, plus much more. The information in this guide can save you many hours of research, help you avoid some common mistakes, and give you information you need to break into the exciting world of professional screenwriting. 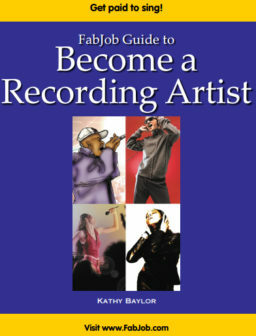 You can earn back the price of the guide many times over with your first movie deal. Plus, if you have what it takes to succeed in this business, this guide can help you sell your scripts much more quickly. If you believe you deserve to have the career of your dreams, this guide is for you. It gives you what you need to know to become a successful screenwriter. We all know that for every Joe Esterhaus who made $3 million for writing “Basic Instinct,” there are thousands of people who never sell their scripts at all. But this author has walked the walk, and in this guide she really talks the talk. Two of her screenplays, written on spec, are now under development at major studios; Twentieth Century Fox bought one of them for $360,000. “We all know that for every Joe Esterhaus who made $3 million for writing “Basic Instinct,” there are thousands of people who never sell their scripts at all. But this author has walked the walk, and in this guide she really talks the talk. Two of her screenplays, written on spec, are now under development at major studios; Twentieth Century Fox bought one of them for $360,000.